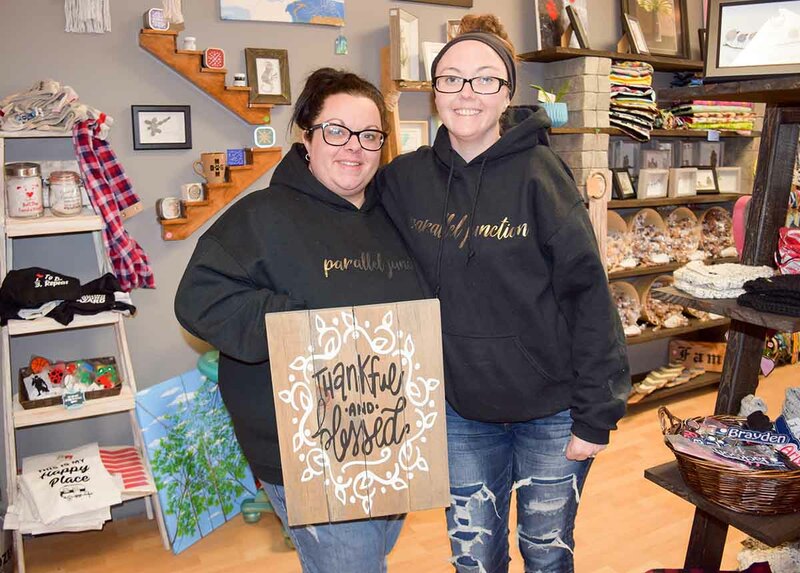 Jess Haughton and Renee Corry say their approach to business is winning the trust of area craftspeople and proving a collective for handmade goods can be successful in Sarnia. Parallel Junction has been open two months, and even at this traditionally slow time of the retail year it’s working for them and their vendors, they say. They established the shop at 176 Christina St. N. after a large number of local craftspeople did not get paid by a store that has since closed. “It left local people afraid of being ripped off, myself included,” said Haughton. Despite the bad experience, she and Corry insisted there’s value to bringing a wide variety of handmade products one roof, and they decided to regroup with a place of their own. But word of mouth about Parallel Junction spread and the store now has 30 craftspeople supplying everything from sea glass and pebble art to candied nuts, hats, clothing and catnip toys. There are vintage fabric purses, refinished furniture, crocheted animals, jewelry, potted succulents, ink drawings, bath products and more. Haughton makes her own line of hand-painted signs, furniture and décor while Corry makes “Simply Soy” candles and wax melts. 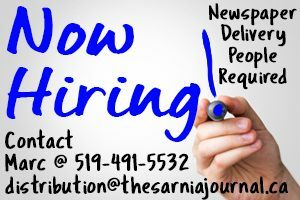 Sarnia has many artisans who work from home and sell their projects online and at craft shows, said Corry. But a storefront offers them a wider range of customers and raises their community profile. Each vendor pays Parallel Junction $50 a month to display their products. At the end of each month, Haughton and Corry keep 10% of the sales revenue for themselves and mail the balance to the vendors. Every single vendor received $50 or more at the end of January and February, said Haughton. Haughton said she and Corry run a tight ship, keeping detailed inventory lists and paying vendors on time. More than two-thirds of the vendors represented by Parallel Junction are from Sarnia-Lambton. The women have also sought out craftspeople from Windsor, London, Toronto and Ottawa. “We want to have local products, but we also want to sell items that no one around here has seen before. It’s a good variety,” said Haughton. Their days of worrying about vendor disinterest are over, Haughton added. Now, they’re being approached regularly and there’s a vendor waiting list. Parallel Junction is open Tuesday – Thursday 10 a.m. to 5 p.m.; Friday and Saturday 10 a.m. to 6 p.m. For details, see Facebook and Instagram or call 519-466-4752.